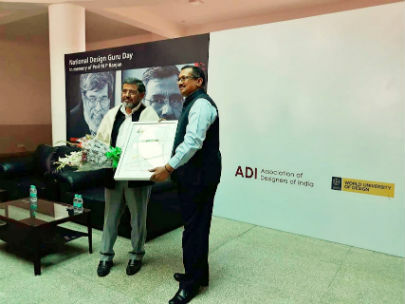 New Delhi: The World University of Design (WUD) – India’s first and only university dedicated to education in the creative domain commemorated the National Design Guru Day by honoring Prof. A G Krishna Menon, the father of modern Indian Architecture Education. National Design Guru Day is celebrated annually at WUD on the birth anniversary of well-known design thinker and Guru Prof. M P Ranjan to pay tribute to the first generation of Design Gurus and highlight the role of Design Gurus who have pioneered design education and taught several generations of design students, thus, spearheading the design movement taking it to the forefront of education in India. Prof. A G Krishna Menon, the father of modern Indian Architecture education was the first Dean of Studies at the TVB School of Habitat Studies and later retired as its Director of Guru Gobind Singh Indraprastha University’s School of Architecture and Planning in 2007. Speaking on the occasion, Dr Sanjay Gupta, Director General of WUD said, “National Design Guru Day is our tribute to the first generation of Design Gurus, who kick-started the design education in India. This year, we celebrate the day by honoring Prof. A G Krishna Menon, the father of modern Indian Architecture education.” “Education is changing and as we increasingly face the growing challenges of a complex socio business environment, high quality trans-disciplinary education with a design foundation and thinking, becomes more critical than ever. 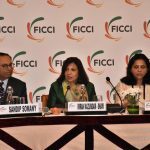 Contemporary Design education not only creates value and contributes to competitiveness, prosperity, and well-being of a nation but also enables collaboration, hyper-specialization and moving beyond the limits of future thinking and existing technology,” he added. Design Guru Prof. M P Ranjan, was a true believer in the power of design and highly respected design thinker. He was also named as one of the world’s top 20 Design Thinkers of the world along with IDEO head David Kelly and Brad Pitt in the list. With 40 years of experience in design education and practice, Prof Ranjan was one of the first persons to prepare an encyclopaedia on Indian crafts. His course Design Concepts and Concerns a hallmark at NID and is still offered to students as part of the foundation training. His blog ‘Design for India’ became a major platform for Indian design discourse.